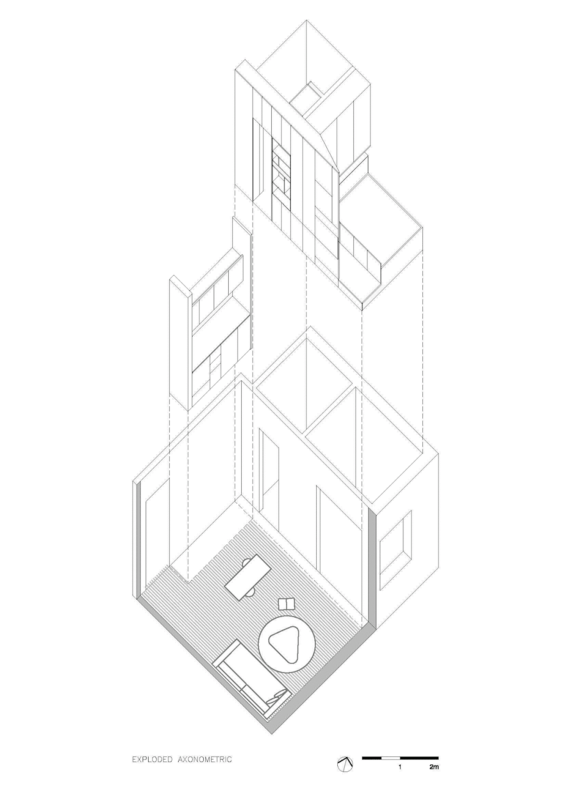 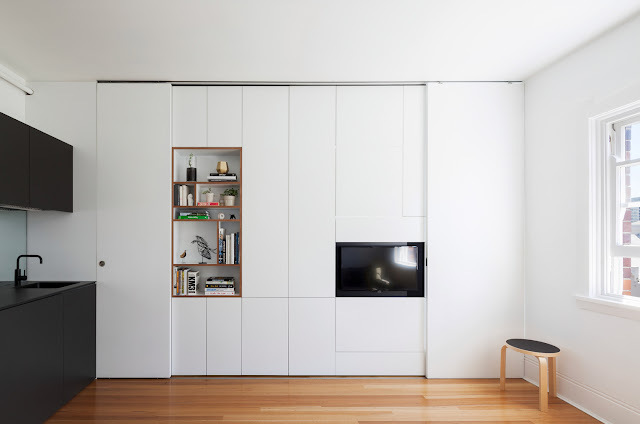 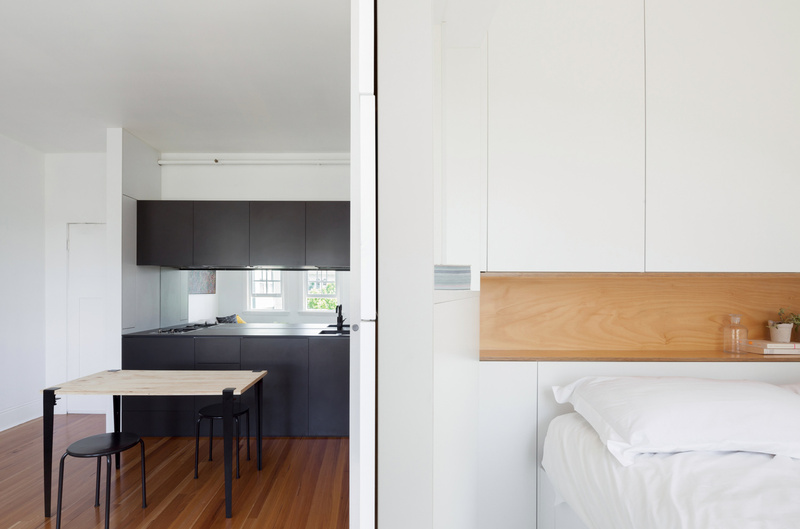 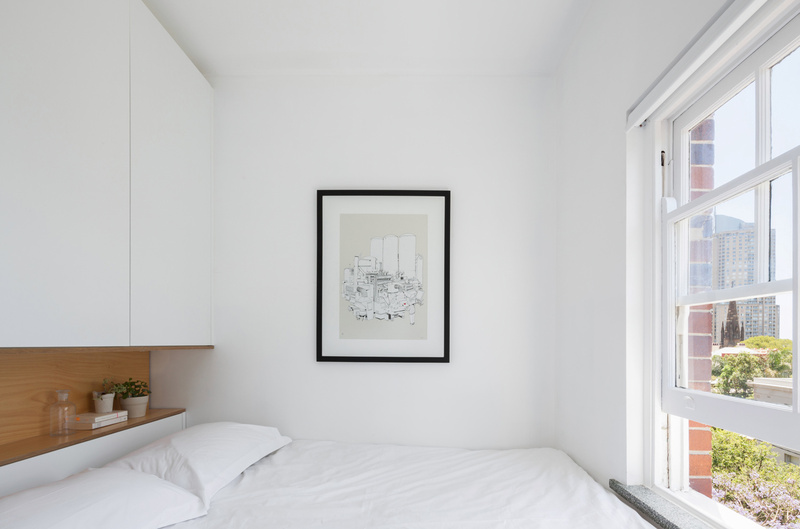 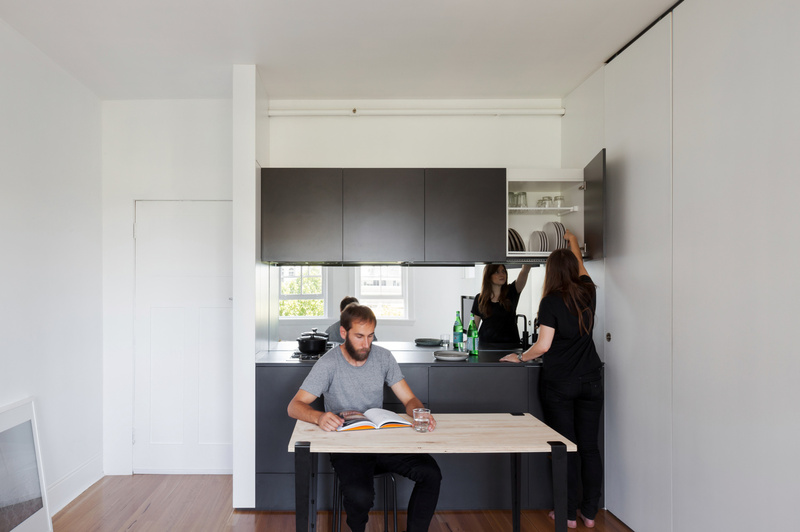 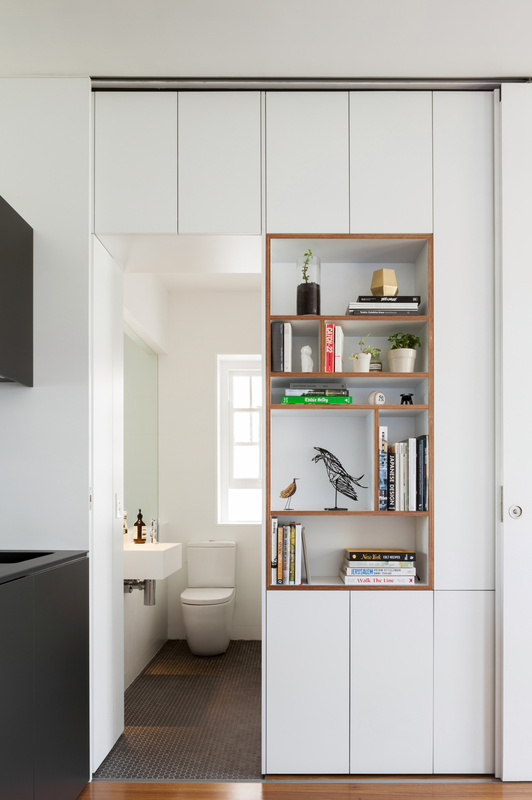 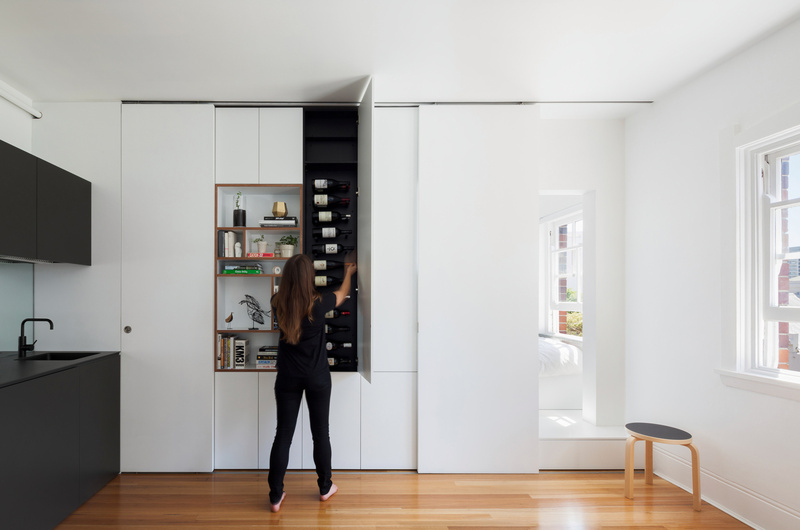 Architect Brad Swartz designed a tiny minimalist apartment in Darlinghurst NSW, Australia, featuring a fully functional living area of 27.0 sqm that maximizes the feeling of space and light. 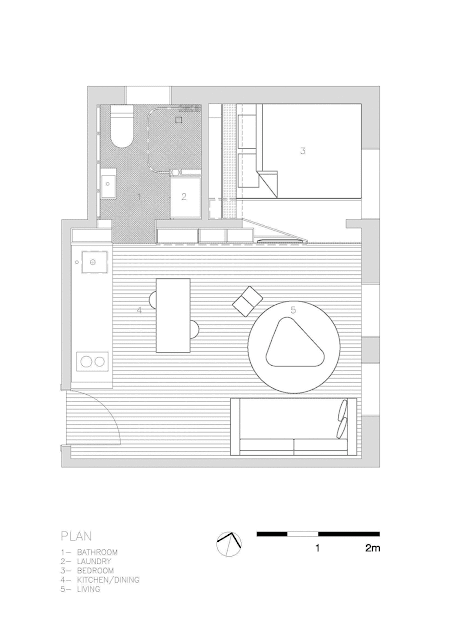 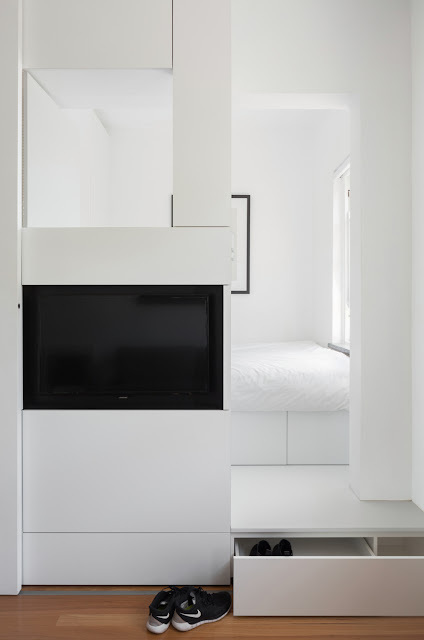 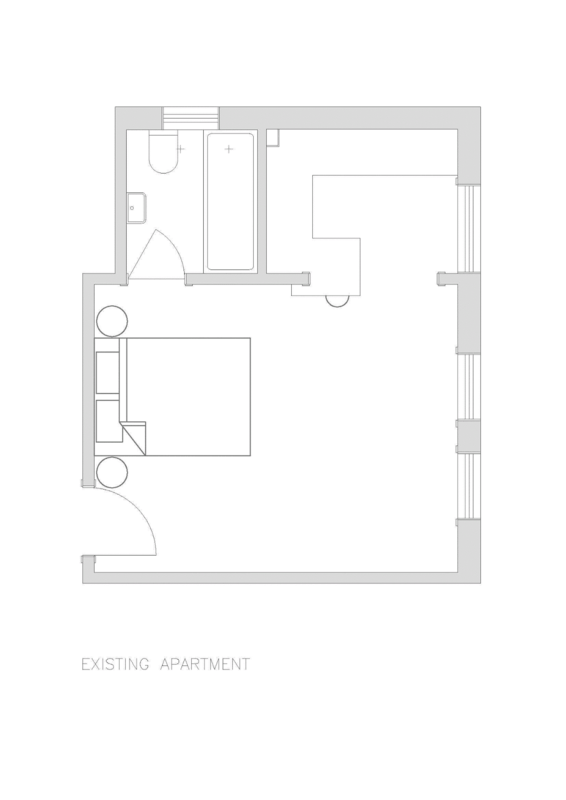 “This 27sqm apartment is designed to comfortably accommodate a couple. 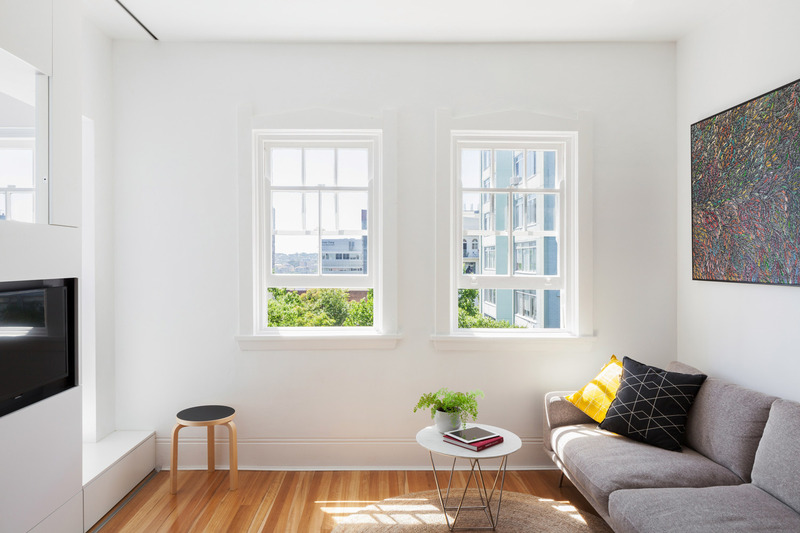 Through high quality design, it provides an affordable option for inner city living and challenges the need for urban sprawl.